You can’t survive winter in Scotland without a jumper or two, and luckily there are plenty of fantastic local knitwear designers to choose from. For beautiful Scottish cashmere pieces that are as luxurious as they are Instagrammable, look no further than Rosie Sugden. 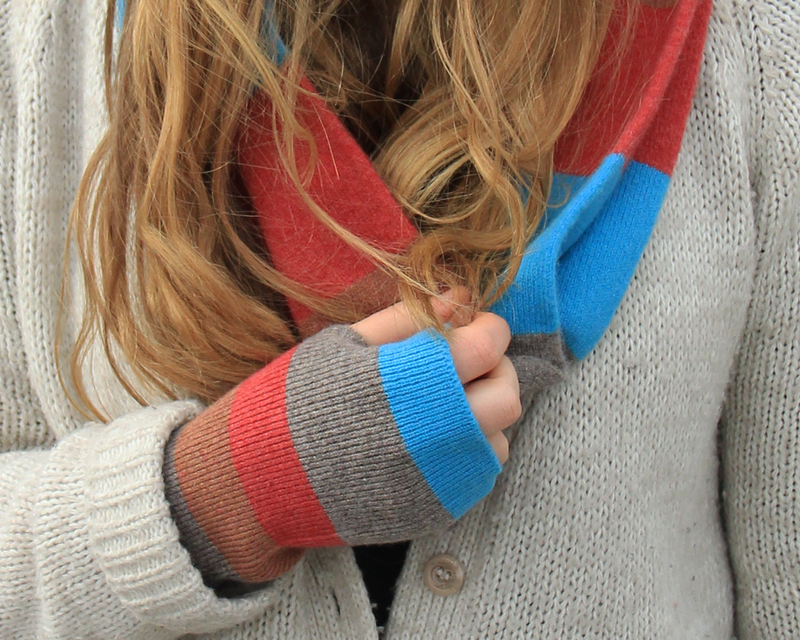 Based in the Scottish Borders, Rosie founded her eponymous brand in 2011 after graduating in Knitwear Design. Blending traditional craftsmanship with modern design, the range is full of accessories which will add a healthy dose of luxury to your A/W wardrobe. 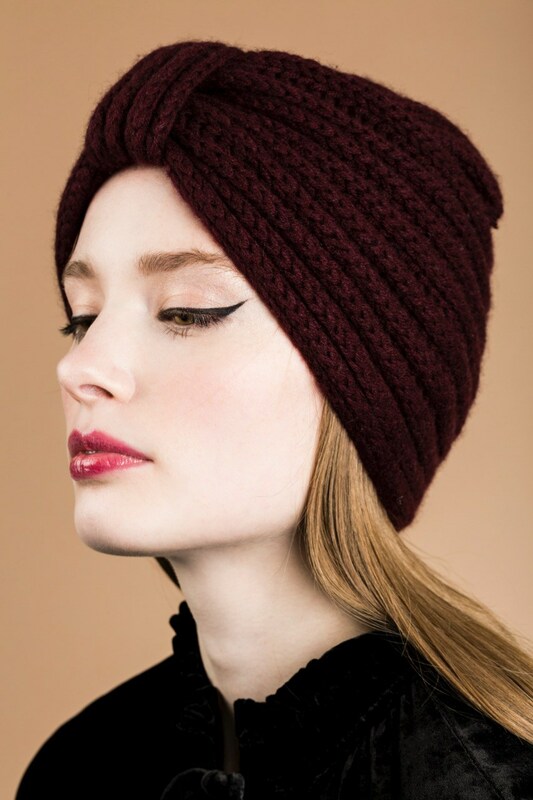 With a very millennial colour palette of blush pink, burgundy, grey and fawn, you’ll find everything from beanies and berets to snoods and socks in the collection. Rosie’s designs are inspired by the rolling hills of her home country - as well landscapes from across the globe - and are made right here in Scotland. All products are created using Scottish yarn, which is dyed and spun in a 200 year old mill in the Scottish Highlands. Perfect for adding an injection of bright colour and pattern to your wardrobe, Collingwood-Norris’s range is designed and hand made by Flora Collingwood-Norris in a small studio in the Scottish Borders. With craftsmanship and quality at the heart of the brand, everything is kept as local as possible. Natural Scottish lambswool is spun and dyed in Kinross, before arriving in Flora’s studio to be lovingly transformed into jumpers, scarves, hats and gloves. The process of creating the knitwear is very traditional, but the designs are far from it. Chunky patterns are paired with block colours for fun, luxurious pieces that will brighten up any outfit. A far cry from traditional muted colours and plaid patterns, Green Thomas is a knitwear brand that isn’t afraid to be bold. Taking inspiration from classic Scottish patterns like Fairisle and Argyle, the design duo - Emma Green and Alan Thomas Dibble - pair clashing prints with bright colours to create a thoroughly modern look. Everything is made in Scotland, and Green Thomas work with local family-run businesses who have been honing their textile craft over generations. This means that the pieces are not only bang on trend, they’ll also last for years to come. A Green Thomas blanket scarf is a must-have to see you through the chilly Scottish winters, and there are plenty of hats, shawls, jumpers, gloves and even knitted clutch bags to complete your look. 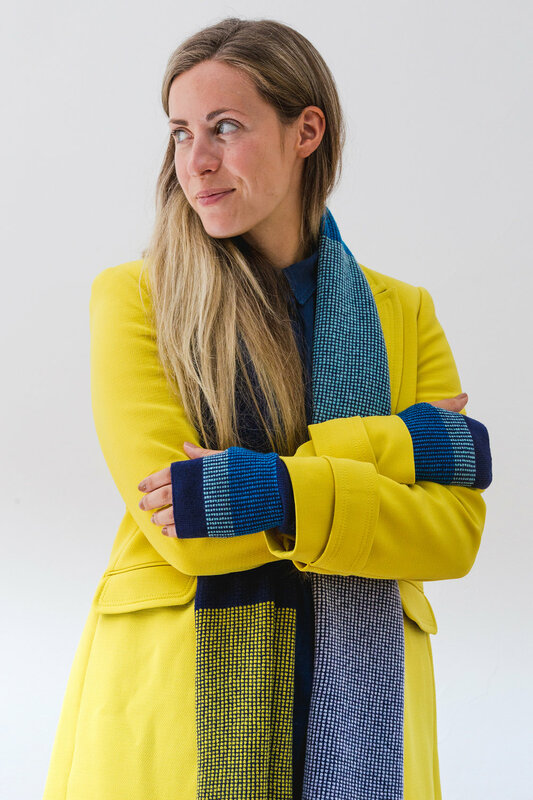 Lucy Donnell set up her eponymous label in 2013, a few years after graduating from the Glasgow School of Art with a degree specialising in knitted textile design. Quality and sustainability are a key part of the brand’s ethos, with everything made as locally as possible. Each item in the collection - which includes scarves, snoods and mitts as well as homeware like cushions and hot water bottles - is made from 100 per cent Geelong lambswool, spun in Britain and knitted on a hand-framed machine in Hawick. Lucy is heavily inspired by the beautiful west coast of Scotland, with the designs taking inspiration from the harbours and seascapes of the area. The result is simple and sophisticated knitwear with a muted colour palette brought to life with bright pops of pink, turquoise and coral red.